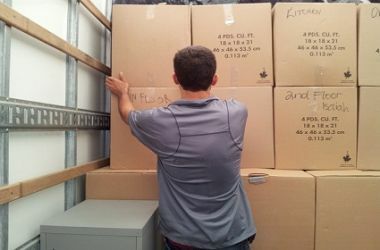 Our Melbourne Removalists are expert in moving boxes, which involve packing and unpacking moving items. We are well trained in the art of dismantling things and re-arranging them in a packable way. We have all types of boxes and protection foams and foam peanuts to protect fragile items against damage in transit. Moving itself is a nightmare, but if you do-not have proper equipment it can be worse and dangerous at times. Melbourne speedie Movers with its quality moving supplies will make the job a lot easier. You can leave the entire packing job to us, we can under your watch quickly and efficiently remove each item and place it in transit boxes and tape them in a professional manner. We guarantee over packing job will never disappoint you. Getting broken items when opening the boxes after the move is a heart breaking. Trust the experts at Melbourne Speedie Movers and let us help you. We supply a range of packing materials and moving equipment including trolleys, hand trailers, load strings and much more. We also have removalist blankets, cushion bags, foamed covers at hand and a variety of moving essentials such as removalists blankets, mattress bags, quilted furniture covers & quilted appliance covers, packing moving supplies which include moving boxes & plastic shrink wrap.